On Thursday 14th December Bellway Homes is hosting an exhibition of captivating, vibrant paintings by local artist, Michelle Janes. 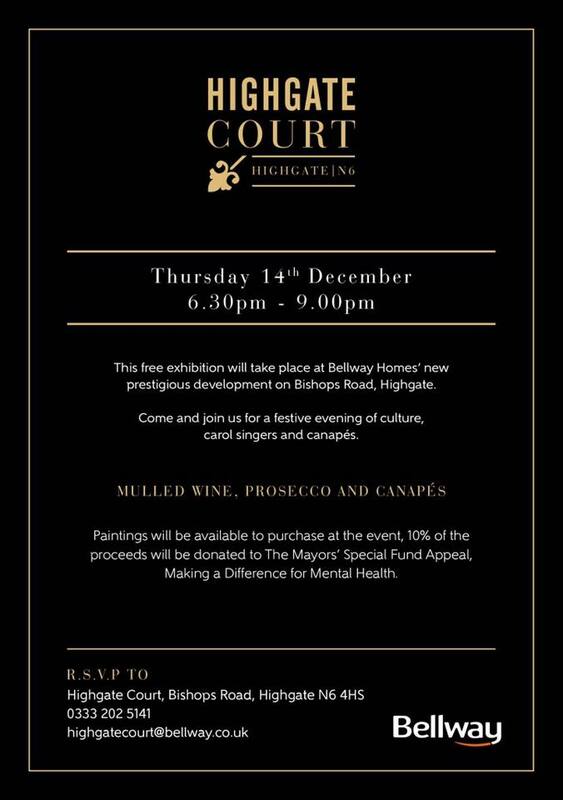 The Mayor of Haringey will open the exhibition at Bellway Homes’ prestigious new development in Highgate, which from 6.30 promises a festive evening of culture, carol singers and canapés. Paintings will be available for purchase with 10% of the proceeds donated to the Mayors Special Fund Appeal, making a difference for mental health. Highgate Court, Bellway Homes, Bishops Road, Highgate, London N6 4HS.